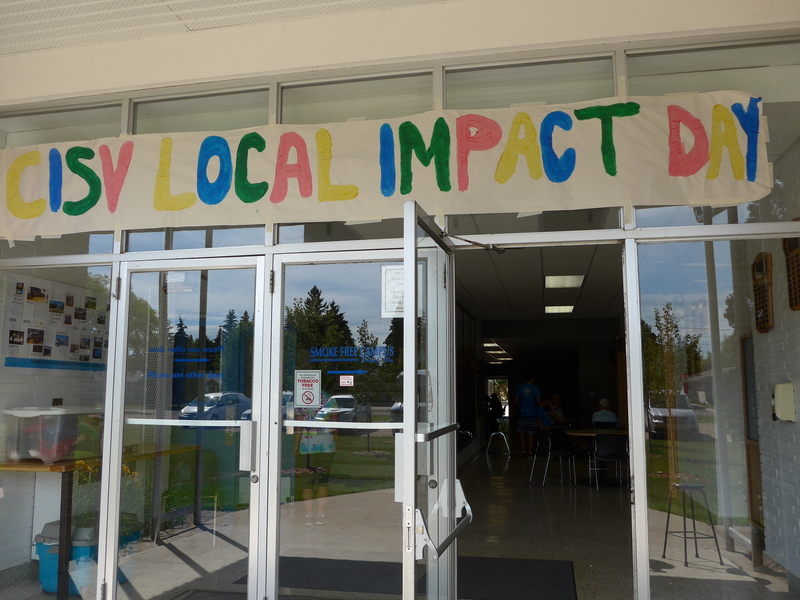 The moment we’ve all been waiting for Local Impact Day is here! 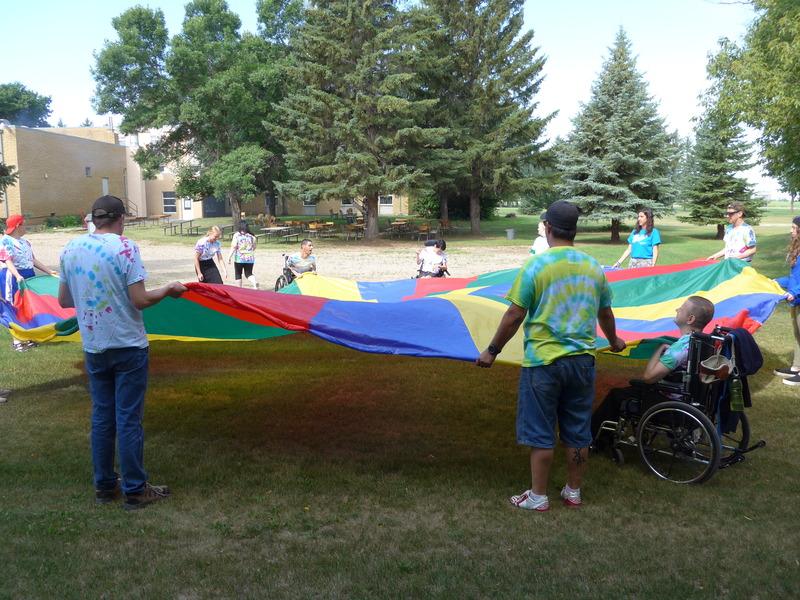 Valley Action Abilities is a community based organization, committed to empowering, promoting self-worth, and enhancing the quality of life for adults facing physical and mental challenges. 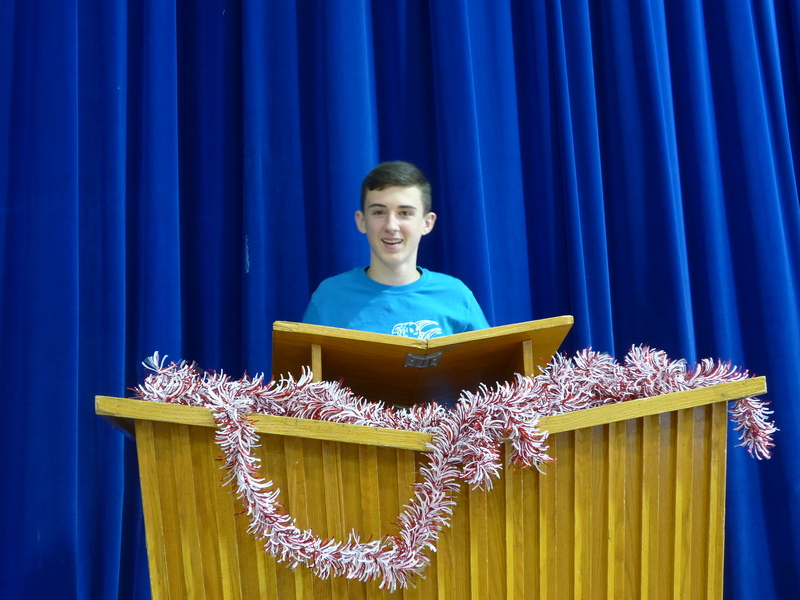 They do this through training, employment and the development of life skills. 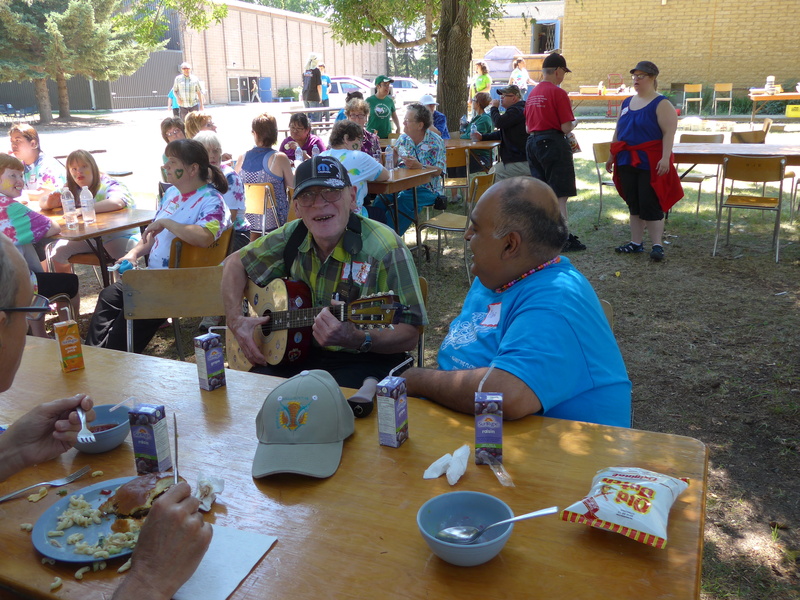 Valley Action works alongside persons with intellectual disabilities and is located in the town of Rosthern. They operate a day program, group homes, recycling centre, bottle return depot and a Laundromat. 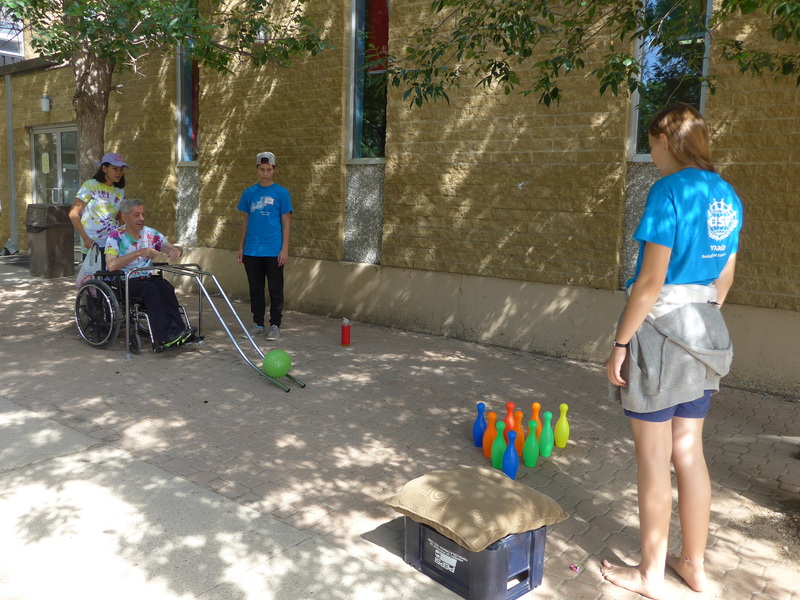 We had 2 major projects today to make a difference in the lives of people with intellectual disabilities, one of them was preparing a fun day for all the participants in the recreational programs. 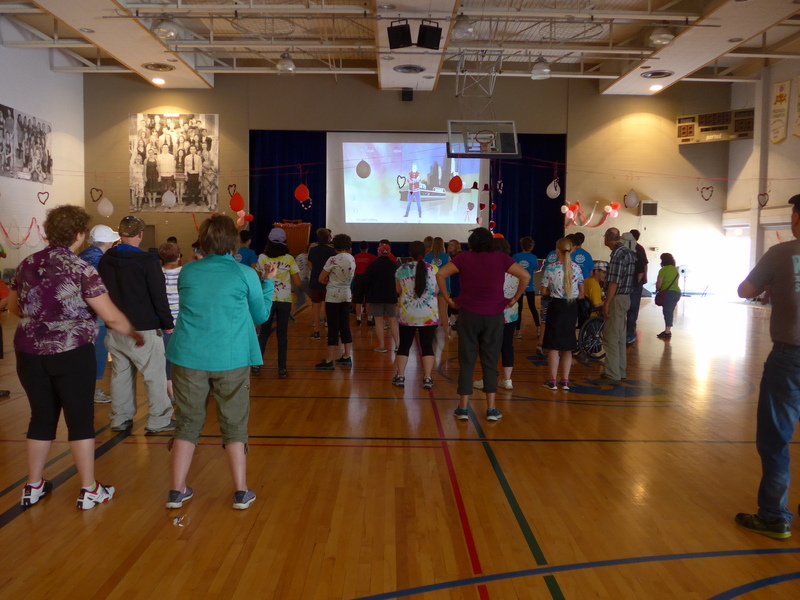 We had 93 special needs guests join us for the fun day, we had parachute, bowling, can toss, arts and crafts, karaoke and at the end had a dance with everyone. 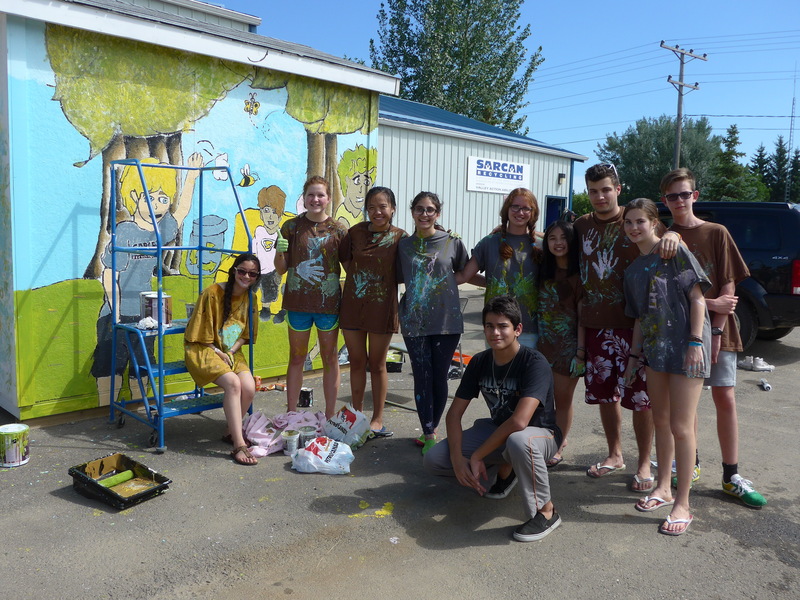 The other was painting a shed near their recycling depot. 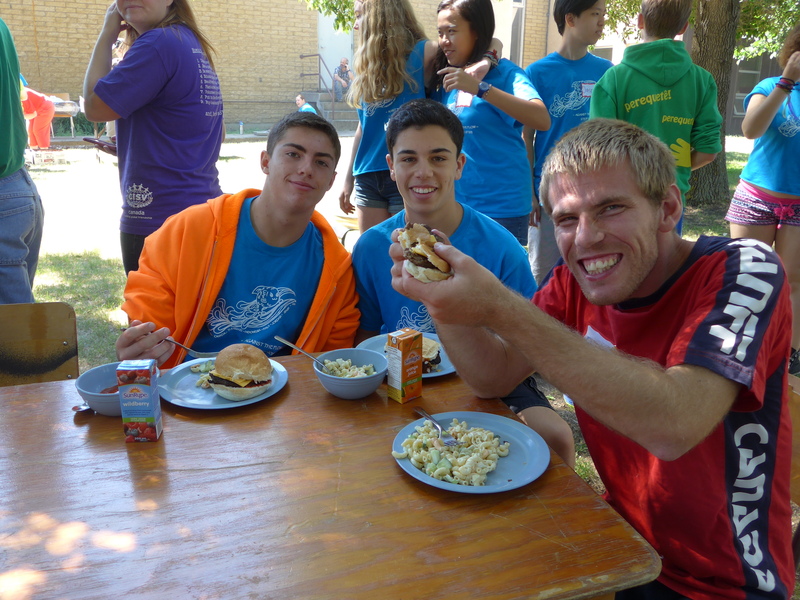 It was easy for us to make friends with their participants because most of them were not shy at all. Tonight’s activity was about bullying. We had to assess ourselves by meeting a “special guest” turns out the special guest was ourselves! 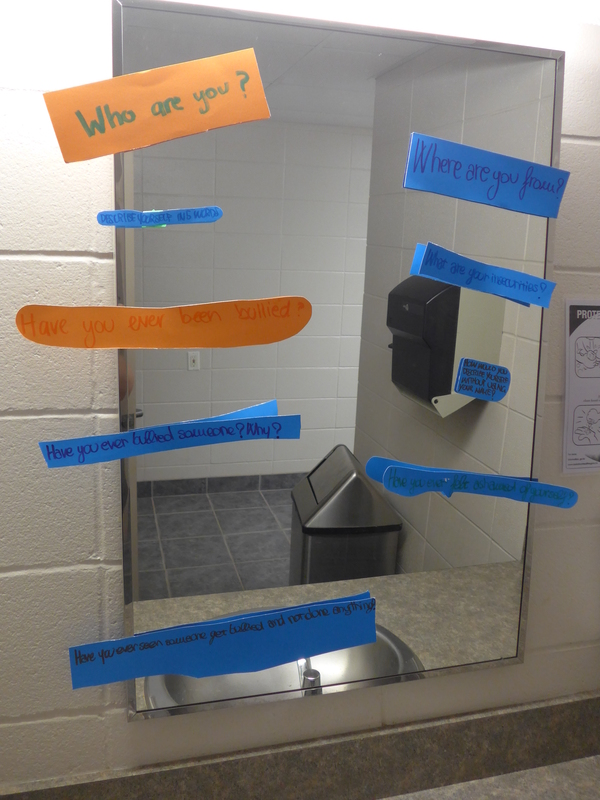 We met ourselves in the mirror and thought about how bullying affects us. We also had an head bands activity where you treat each other like the word on your head band. 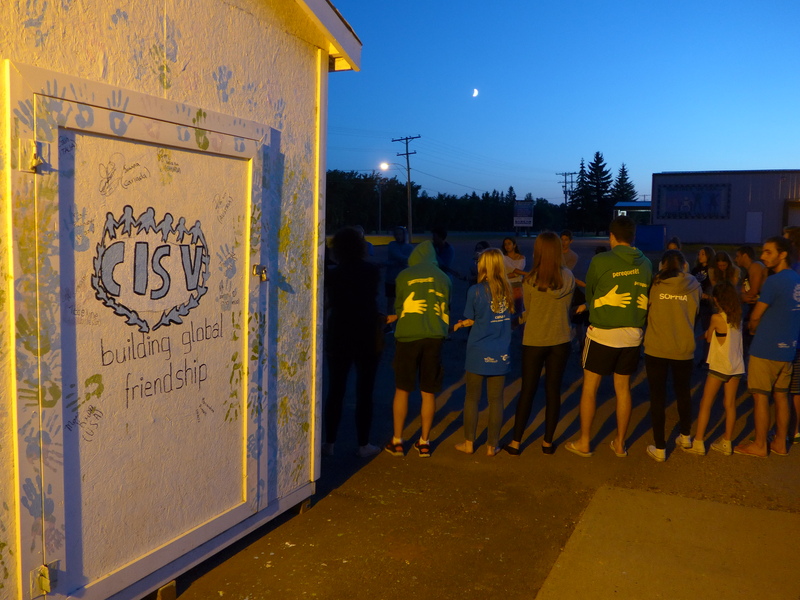 We celebrated the completion of the shed tonight by singing the CISV song around it. Following the CISV song we had a camp fire to make SMORES also each delegation shared a camp fire song from their country. Some countries camp fires are not allowed due to the environment. 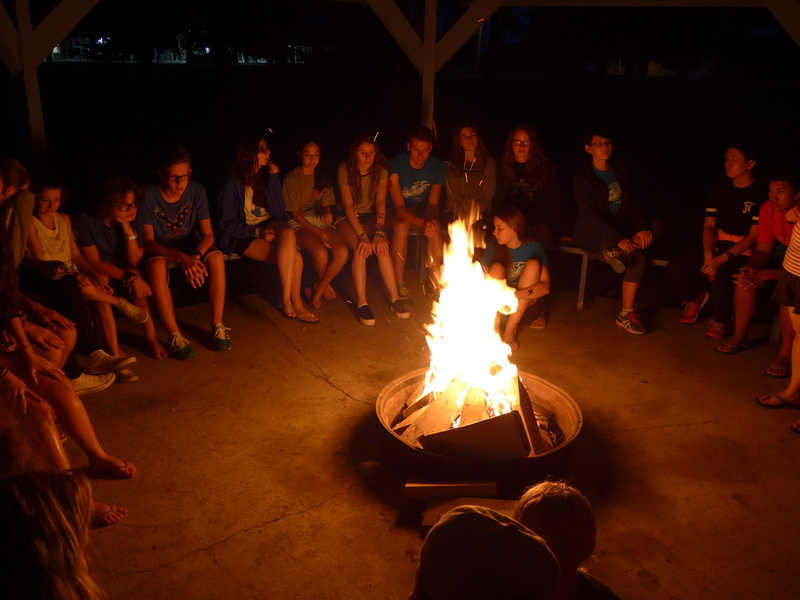 Also at the camp fire we distributed the letter each delegate wrote to themselves on the first day. This will allow any delegates who haven’t achieved their goal time to still work on it. Only 3 days to go and we are already feeling the last day coming.